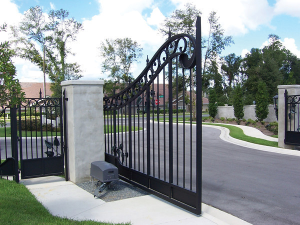 Commercial and residential gate systems can have different purposes and different requirements, but the EGS team knows the questions to ask and the best industry solutions to ensure the right access control system is put in place. 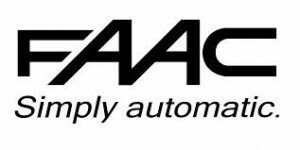 EGS installs and services vehicle access control systems for corporate campuses, medical facilities, distribution centers and industrial facilities. 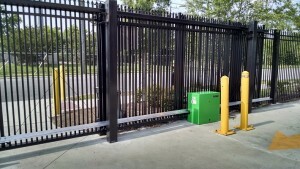 Typically these systems include barrier gates, slide/swing gate operators, card or RFID readers and the software used to program and control this equipment. Our knowledgeable team is available before installation to consult on layout and after installation to train staff members on the operations of these systems, as well as meet any maintenance needs. From beginning to end, we are able to work with your company to provide a comprehensive solution. Whether a private residence or a multi-resident community, Entry Guard Systems provides and services the hardware and software to control vehicle access. 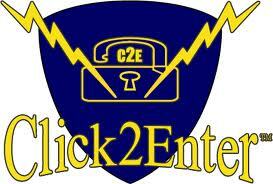 This provides you wth the safety and security you would expect from gated access control. Entry Guard Systems also provides preventive maintenance and ongoing service on the systems we have installed, as well as those we have not. This maintenance will extend the life of your equipment and ensure effective operation.